This campaign ended on May 10, 2017, but you can still make a gift to Sewanee-The University of the South by clicking here! Whitney Franklin gave $50 because 500 donors made a gift in 2 days. An Anonymous Donor gave $50,000 because 1,500 donors made a gift in 2 days. Login, share your personal link, and get one friend to give and we'll send you a YSR bumper sticker for your car, bike, or board. Login, share your personal link, and get five friends to give during this campaign and you'll receive an iconic Sewanee print. Choose from five campus photos! Share your personal link, generate ten donations, and you will receive a #TigerTuesday t-shirt! Become an Advocate for this challenge and when you generate $2,500 or more in donations, you will be sent a limited edition Sewanee tote bag. Click the "Advocates" button above to participate. For your gift of $25 or more, Sewanee will send you a digital desktop photo. You've shown Sewanee your support, now show the world! Donors of $100 or more may select to receive a University seal window decal. During the 1899 college football season, Sewanee, outscored its opponents 322-10, including five victories in six days over Texas, Texas A&M, Tulane, LSU and Ole Miss. Get the famous "On the Seventh Day, They Rested" poster showcasing the historic team! 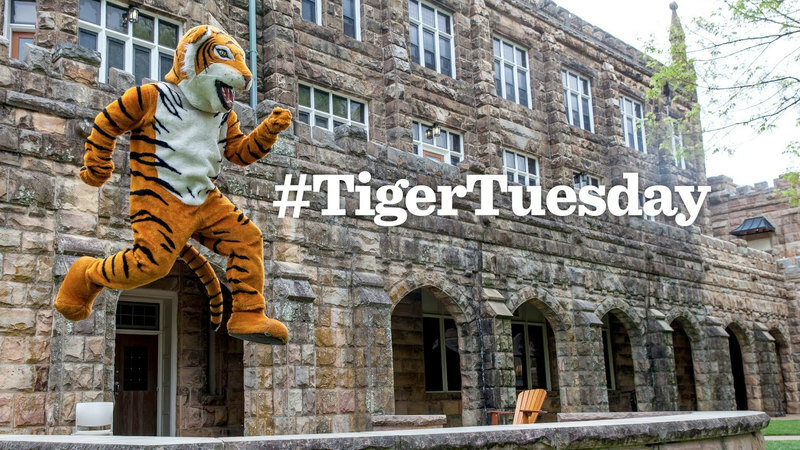 Today, we ask all Sewanee alumni, parents, faculty, staff, students and friends to be part of our first #TigerTuesday by making a gift of any size! Two generous alumni will match every gift made today dollar for dollar - up to $150,000! If we reach our goal of 1,500 donors, we will secure an additional $50,000. So in one day we could add $300,000 or more to the Sewanee Fund! Then, challenge your classmates, teammates and share on social media. We need everyone to chip in to make #TigerTuesday a success.